Jaycee Chan (房祖名) has made his first social media update after three years of staying silent. 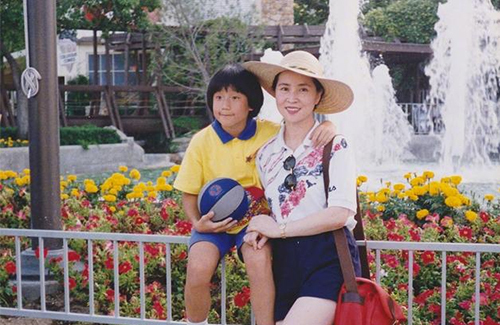 It was a happy birthday message to his mother, Joan Lin (林鳳嬌), as well as a confirmation that his directorial debut has completed filming. In August 2014, Jaycee was sentenced to six months of prison following his arrest for marijuana possession and consumption. He was released in February 2015 and stayed out of the public eye for three years. He made his first social media post on January 30, 2018, announcing that he has just completed the production of his directorial debut Beijing: Wan Jiu Zhao Wu <北京·晚九朝五>. The film stars Chen Bolin (陳柏霖), Nicholas Tse (謝霆鋒), Amber Kuo (郭采潔), Eric Tsang (曾志偉), and a special appearance by his father, Jackie Chan (成龍). Jaycee dedicated the completion of his directorial project to his mother Joan, writing, “[My] first production completed! Mom, happy birthday!” Attached to his message was a picture of Jaycee and his mother when he was ten years old.